Fujisawa takes Women’s Honinbo title: The fourth game in the 37th Women’s Honinbo title match was held at the Tokyo headquarters of the Nihon Ki-in on December 5. Taking white, Fujisawa Rina forced a resignation after 224 moves and took the title from Xie Yimin with a 3-1 score. This is Fujisawa’s third concurrent title: she also holds the Hollyhock Cup and the Women’s Meijin. It is the third time she has won this title, and it is her ninth title. First prize is 5,500,000 yen (about $50,000). Xie is now without a title to her name for the first time in 11 years. Note: Michael Redmond was the referee for the match. Rin Kanketsu wins SGW Cup: The SGW Cup Golden Mean Tournament is an unusual new tournament: it is open to players aged from 31 to 60 who have not won one of the top seven open tournaments or the Ryusei or Agon Kiriyama titles. The main section of the tournament, a four-round Swiss System for 16 players (who qualified in a preliminary tournament held on the Net) was held at the Nihon Ki-in on December 8 and 9. 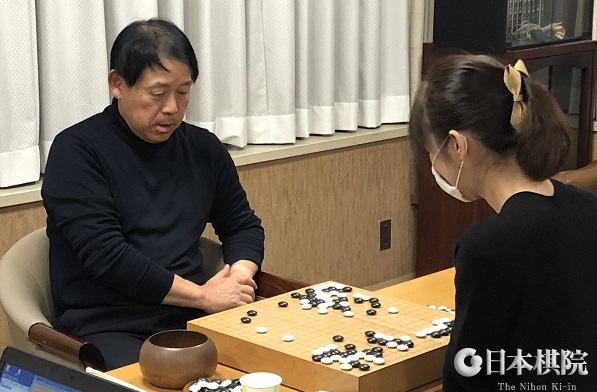 After three rounds, there were two players with three wins, Rin Kanketsu 8P and Anzai Nobuaki 7P, so their fourth-round clash became the “final.” Taking black, Rin won by resignation. First prize is 2 million yen (about $18,000). Having won this title, Rin “graduates” and can no longer play in it. However, it is not an official tournament, so results are not included in players’ lifetime tallies. 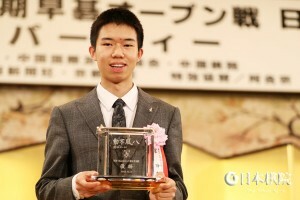 Third place was taken by Cho Riyu 8P, who beat the oldest participant, Yamashiro Hiroshi 9P (aged 60), in the final round. According to “Go Weekly,” “golden mean” refers to solid players of a certain age who don’t have as many opportunities to play as the top players or young players, for whom there are many youth tournaments. Apparently this is the first time the Swiss System has been used for Japanese professionals. The participants may not have been the top players, but a big crowd of fans turned out for a public commentary by Cho Chikun. Gu wins Japan-China Agon Kiriyama Cup play-off: The Agon-Kiriyama Cup 20th Japan-China Play-off was held at the Shaka-san Dai-Bodaiji Temple, the headquarters of the Agon sect of Buddhism in Kyoto, on December 9. The game was actually played in a teahouse in the grounds of the temple called the Snail Hermitage (Kagyu-an). It matched the holders of the Japanese and Chinese versions of the Agon Kiriyama Cups, Ichiriki Ryo 8P and Gu Jihao 9P. The 20-year-old Gu is not well known in Japan, but he is a member of the group of players born between 1995 and 2000 that now dominates Chinese go. He jumped from 5-dan to 9-dan in 2017 when he won the 22nd Samsung Cup. Gu drew black in the nigiri. Like most professional games these days, there were many signs of AI influence, but Gu’s 7th move was a diagonal move made popular in the 19th century by Honinbo Shusaku and known as “Shusaku’s kosumi.” At the time, Shusaku commented that no matter how much time passed, this would never become a bad move. It has now held up for over a century and a half. Gu said after the game that recently AI programs had often recommended this move. The game was marked by fierce fighting, with Ichiriki launching an aggressive double attack at the decisive point in the middle game. 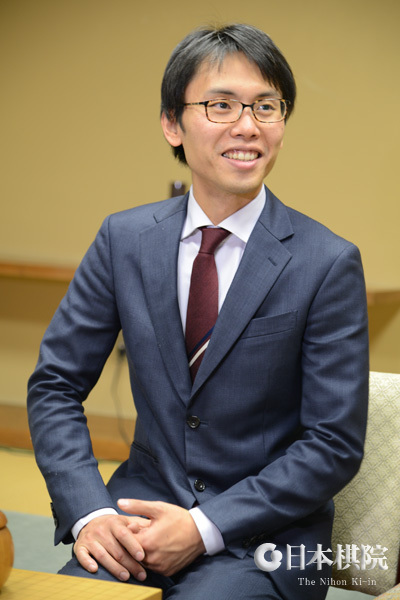 Gu was able to cope with it, so Ichiriki had to resign after 185 moves. China has now won this play-off 15 times to Japan’s five.